Moqqatam is on the edge of Cairo and home to a people known as the Zabaleen, said to be the world’s greatest waste recyclers. 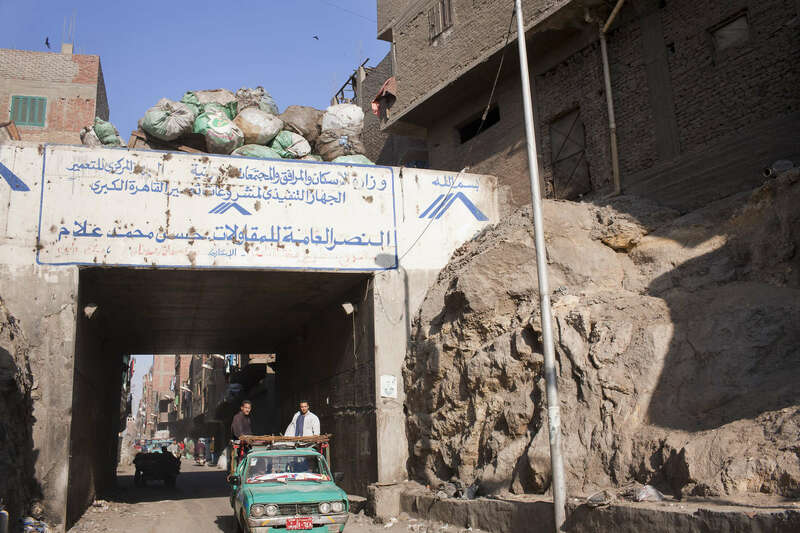 The Zabaleen, which means plainly enough, “the garbage collectors”, pick up around 4,000 tons of Cairo’s waste each day. American researchers have shown that the Zabaleen recycle 85% of this garbage into something useful: a higher rate than anywhere else on the planet.